I would like to upgrade my central locking (which works on all doors with the reassuring thud of a vault) to remote locking. 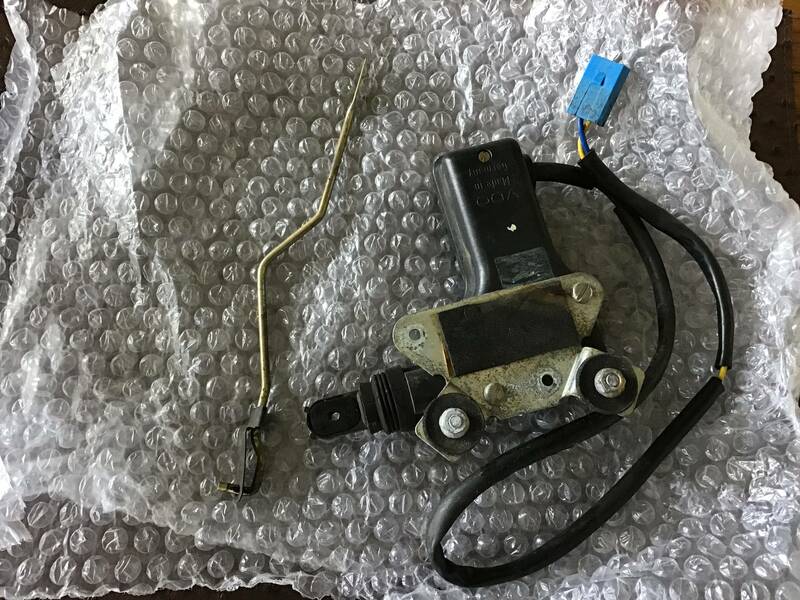 From what I have read elsewhere, I can use an OEM Volvo front passenger lock solenoid, mount and linkage on the drivers door and connect it to an Ebay budget locking control module to remotely lock the drivers door, which will in turn activate the factory locking on the 3 other doors & boot? Assuming this is the case, then I need a lock solenoid, mount and linkage from a front passenger door. Does anybody have a set of bits they would part with? If you can’t find one locally I have one I could post up ($25 including postage in a post bag). I’ve fitted central locking kits to 2 240s now. One just locks and unlocks all the doors, and the other has 2 relays and one button unlocks driver’s door and other unlocks all doors. It’s not that difficult with access to a wiring diagram for the car and the kit. Would the solenoid include the bracket and pushrod? Yep I can include solenoid, bracket and pushrod. Here’s what I have Wayne. Tested and works fine. The bracket is reversible to suit the RH side. The rod should flip but may need a bit of tweaking to work? Lemme know if you want it and I’ll PM my bank details and get it I sent off to you.